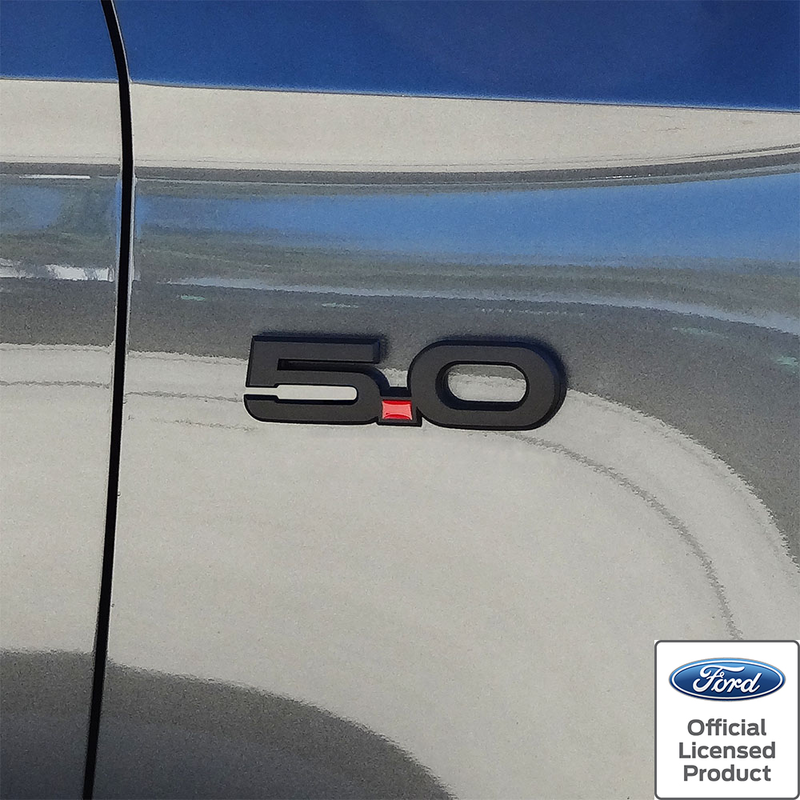 Give your 2015-2019 Ford Mustang GT 5.0 that stealth look with this Matte or Gloss Black 5.0 fender emblem pair. Emblem matches the factory OEM emblems and installs in the OEM location side of the car. 2015 2016 2017 2018 2019 Ford Mustang GT 5.0 Coyote S550 Shelby Roush Saleen Vehicles. No one else can stack up to the bold clean styling of our aftermarket Billet dress ups, Street Strip & Racing Suspension & Performance Parts for your late model American Muscle Car!